Assigning haplogroups during raw data analysis primarily depends on the number of Y chromosome and mtDNA gene markers present in your raw data. In some raw data files, such as in female samples, the Y chromosome data will not be present. 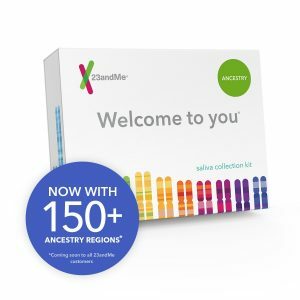 In certain other cases, the company may not include Y and Mitochondrial DNA markers in their raw data or too few data points are present. In such cases, a haplogroup cannot be assigned. For example, the autosomal raw data from Family Tree DNA’s Family Finder test does not contain markers from the Y chromosome and mtDNA. In this case, our tool will be unable to associate a haplogroup to the sample. Why am I being assigned a broad haplogroup and not the subclades? If you are getting a parent haplogroup such as H, N etc. this is likely because only the mutation corresponding to the parent haplogroup was found but not the ones corresponding to their subclades. This is also likely due to insufficient SNPs in your raw data file. How many Y chromosome and mtDNA markers are found in my raw data? Below is a table showing the number of Y chromosome and mtDNA markers present in the raw data from different companies. 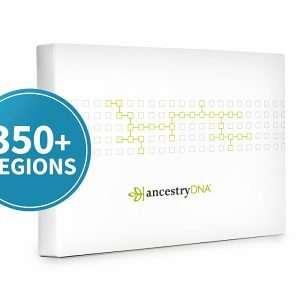 For some of you, especially those with AncestryDNA raw data, it is not uncommon to find a paternal haplogroup in your report. In case you find this information in your report please feel free to ignore it. To answer the question of why a paternal haplogroup is being assigned in the first place, it is necessary to describe a little about the way Ancestry DNA labels their chromosome. The Y chromosome is labeled as chromosome 24. If you open your raw data text file and search for chromosome 24, it should be completely devoid of any “calls” or values like A, T, G or C. If you find any such entries in the columns labeled Allele 1 and Allele 2 in your AncestryDNA raw data, that would be picked up by the algorithms of third party tools or websites and assign a relevant haplogroup to it. Now for biological males, all the gene markers in the Y chromosome will have an entry, and correctly so since males have a Y chromosome. 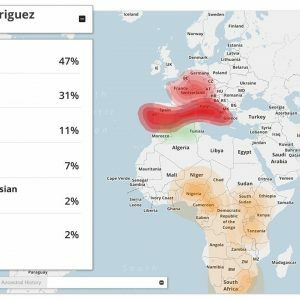 Hence the assigned haplogroup from this data is valid. However for biological females this will be assigned from whatever calls that are found in their raw data. Hence this information is not valid.